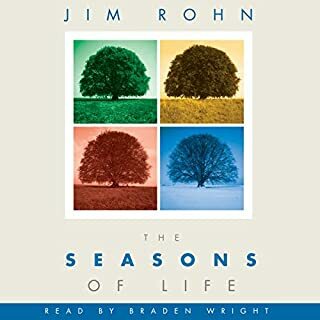 Legendary personal development icon Jim Rohn explains the parallels between life and the changing seasons. To realize that the seasons will change without fail and what we can do to utilize each season to get the greatest rewards. This popular book is based on the parable of the sower and the reaper. What to do in one season to ensure success in another season. It's great for those who are going through difficult times personally or financially, because it helps them see that this "winter" in their life will eventually give way to "spring." 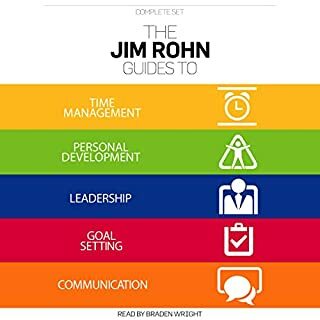 The text of this anthology is based on transcripts of Jim Rohn’s most popular lectures and writings on the subjects of time management, personal development, leadership, goal setting, and communication. As you listen, you may recognize a familiar pace to the content. It is our hope that Jim’s easy conversational tone and speaking style come across in your listening of each and every word. His life philosophies and success principles transcend the years and are as relevant today as they were when he first expressed them. You think you know what you want in life. You've tried to achieve those things. But if you still don't have them, the culprit may be closer than you think. 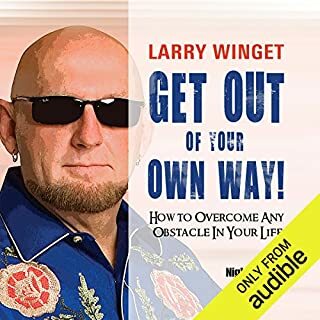 In this perspective-altering program, the world-renowned Pitbull of Personal Development(tm), Larry Winget, exposes the things you are doing right now to unknowingly prevent your own success in the most important areas of your life. 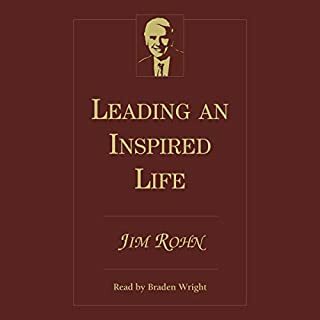 Jim Rohn's insights and guidance show you how to use a major tool he has used over the past 39 years for gathering and collecting ideas and experiences. Your journal could be one of the most important legacies you leave behind, so learn how to craft it and use it to achieve your dreams. A collection of Jim Rohn's most memorable and noteworthy quotes with special seminar excerpts included. 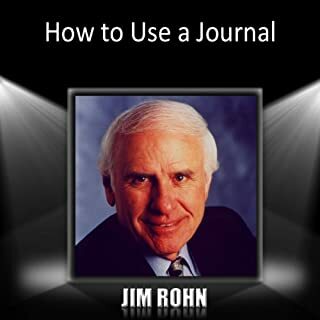 More than 365 quotes on 60 topics gathered from Jim Rohn's personal journals, seminars, and books and reflecting over 40 years of experience in business, sharing ideas, and affecting lives. Every businessperson has to make decisions. Here's how to make them quickly, correctly and confidently. Before he passed away in December 2009, Jim Rohn had influenced more than 5 million people in all corners of the world. He was counted as a mentor by thousands including the likes of Tony Robbins, Les Brown, Harvey Mackay, Mark Victor Hansen and others. A must-listen resource for EVERYONE in sales and management. Learn to solve problems, the formula for success and failure and living well, how to have something good to say, how to take an interest in life and people, the four "ifs" that make life worthwhile, communication and how to say it well, and how to read your audience. In this goal-setting workshop, you will design the next 10 years of your life. The program includes setting goals, association, our view of the future, and becoming a Benefactor. You will discover how to plan your one-, three-, five-, and 10-year goals and identify the four most important ones, as well as learn why these goals are important to you. Explore why "purpose is stronger than object", and why you should beware of what you become in pursuit of what you want. The hottest single audio ever created in the Network Marketing Industry! Subjects include awakening to the opportunity, profits are better than wages, the magic of part-time selling, the Law of Averages, the Law of Reaping and Sowing, developing new skills, working together, communication, presentation and testimonials, deserve vs. need, how your skills determine your future, and living a good life. Hear Jim's famous "Girl Scout Story" and learn how to design an extrodinary life and create abundance. Listen to his discussion on ideas and inspiration, lessons of the seasons, physical/spiritual/mental connections, and how to turn nothing into something as he helps you grow both personally and professionally. The man many consider to be America's foremost business philosopher has been sharing his success principles and strategies for more than 39 years. In this a live seminar, Jim Rohn provides an overview of Economics 101, shares stories about super-motivator Robert Schuler, leads you in identifying your philosophy about money, helps you uncover the mystery of the philosophy of being rich and poor, leads you in understanding what to do with a dollar, and explains why keeping strict financial accounts is important. What is this "Financial Independence"? Jim Rohn knows the secrets of success in business and life. Jim's compelling presentation will awaken the unlimited power of achievement within you. For professional and personal development, this audio program will play a pivotal role in developing your skills and life philosophy. Millions of people have benefited from the timeless wisdom from this masterful communicator. Add it to your audio collection today. With this program, you'll have the tools, the techniques, and, just as importantly, the unflinching confidence to influence your readers and listeners decisively - both at work and at home. 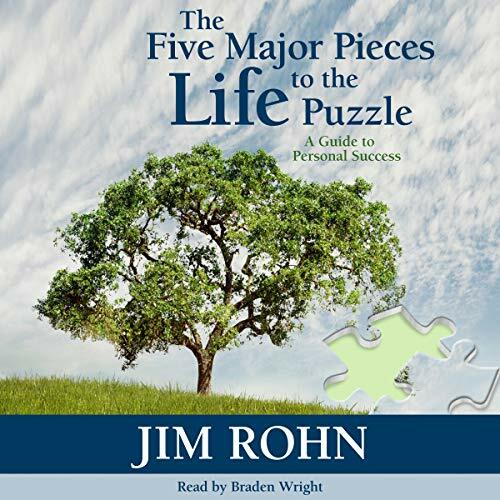 In this guide to personal success, legendary personal development icon Jim Rohn takes an in-depth look into the reasons certain people succeed and others don't. He covers the key components to success: philosophy, attitude, activity, results, and lifestyle. 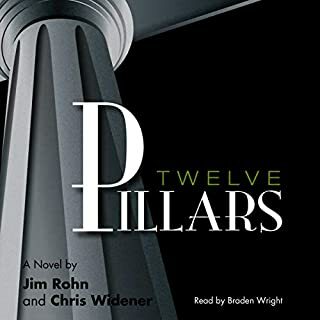 The narrator did an excellent job conveying the beneficial points of Jim Rohn. I highly recommend all of the titles he has narrated. Jim Rohn's, philosophy is simply phenomenal! His approach to life's area of question gives the answer needed to begin and embark upon new adventures and set new sailsfor your life. A real eye opener, so many things pointed out and different points of view changed! Quite the inspiration to change!